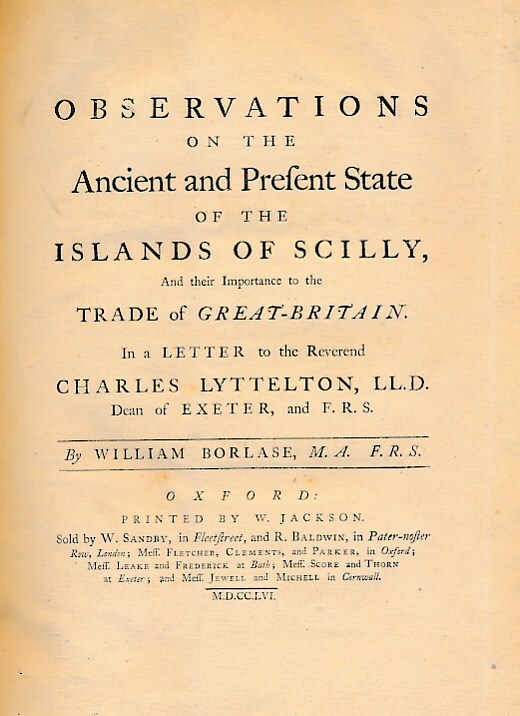 Barter Books : Borlase, William : Observations on the Ancient and Present State of the Islands of Scilly, and their Importance to the Trade of Great Britain. Newcastle upon Tyne. 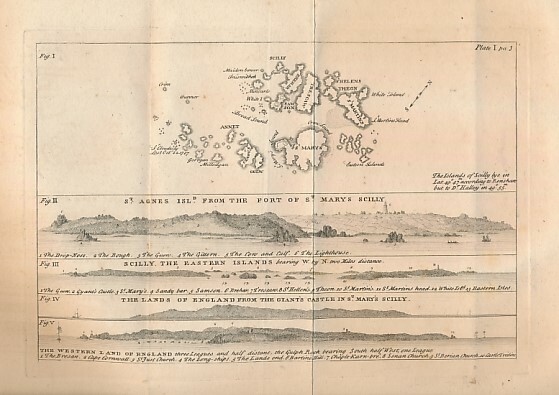 : W Sandby; R Baldwin &c.
4 b/w plates (3 fold-out). 280 x 220 mm (11 x 9 inches) - 140pp. Grey hardback boards with cream paper spine. G: in Good condition without dust jacket as issued. Cover rubbed and soiled. Slight foxing.